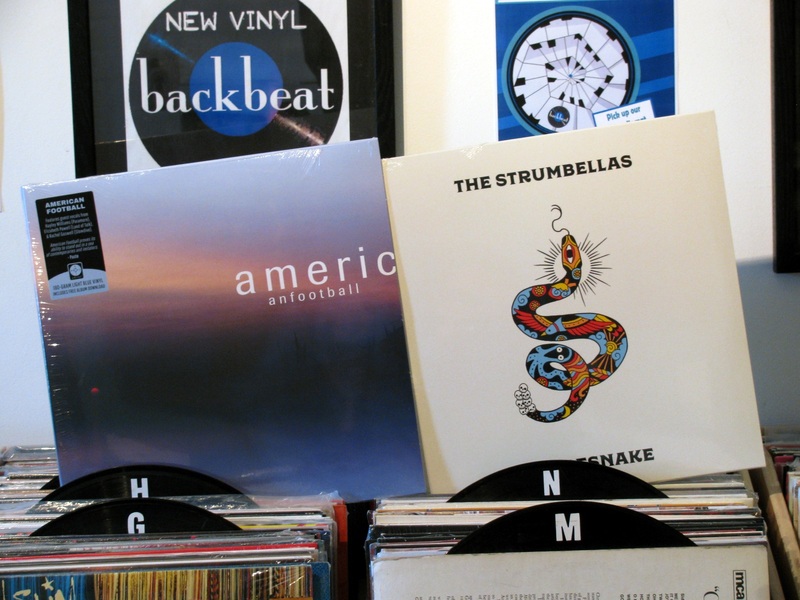 It’s Friday and we’ve got a couple of recent new vinyl releases to feature today. American Football’s latest album (yup, still titled American Football) and The Strumbellas album Rattlesnake is out today. Check out all the details below. There’s a restock list way down the page after the new release info. And hey, whaddaya know… Record Store Day is just about 2 weeks away (April 13th). We’ll be rolling out all the details really soon as to what you can expect here at Backbeat on the big day. Stay tuned, and we hope to see all of you on the day! LP3 is less obviously tethered to the band’s past than the second album. An immediate contrast between LP3 and its two predecessors is its cover. The two previous albums featured the exterior and interior of a residence in the band’s original hometown of Urbana, Illinois (now attracting fans for pilgrimages and photo opportunities), by the photographer Chris Strong. But American Football knew that LP3 was an outside record. Instead of the familiar house, this time the cover photo (again by Strong) features open, rolling fields on Urbana’s borders. It is a sign of the album’s magnitude in sound, and of the band’s boldness in breaking away from home comforts. American Football also joked that LP3’s genre was ‘post-house’, because of this very conscious visual break. But, in a strange way, there are links in LP3 with an actual post-house genre: shoegaze. The more exploratory members of the original British shoegaze scene were inspired by the dreamtime and circularity of house music (ambient house in particular), cherishing its sonic possibilities. That spirit drips into LP3, most obviously on ‘I Can’t Feel You’, a collaboration with Rachel Goswell of Slowdive. LP3 is contemplative, rich, expressive, yet with a queasy undercurrent. It is heavy with expectancy, revealing its ideas slowly, eliciting the hidden stories people carry around with them. April 20, 2019 Recent New Album Releases – Wintersleep, Drugdealer, Proper Ornaments, The Drums and Cage The Elephant. June 28, 2014 New releases, re-issues and lots of restocks.